This country cutie, Sean Curtis is our New Music Monday special feature! His music is awesome, and his voice is to-die-for! How long have you been performing? I have been performing since high school. I did the talent shows, etc. Have you been signed by a record label? If so, which one, and when? It’s currently under discussion. Very exciting stuff! Any albums/singles out? We are scheduled to release our self-titled EP this summer. With three singles we are VERY excited about “Bottles in the Truck bed,” “Drive Me Crazy,” and “Nowhere Road.” Our first release “I Take This Beer” has just been included in the rotation on the New Artist Radio Show at www.theicemanscavern.com (currently climbing the charts). Our three released singles, “Family Tree”, “Everybody Loves Me”, and “I Take This Beer” can be heard on our website! Are you currently touring, or where can we see you in concert? We are currently playing the Rocky Mountain Region. Our tour schedule can also be found at our website. Most notably, we will be playing with Firefall this month and will be doing the Jake Owen after party at the Greeley Stampede. We will be sharing the stage with Aaron Watson, Charlie Daniels and more at the Outlaw during Cheyenne Frontier Days toward the end of July! What do you do for fun? I am an avid hunter/fisherman/outdoorsman and try to stay outside every chance I get! I played college baseball and still play in a competitive league when I’m home (when time permits). I love to hang out with my wife Amy and pup Maci. The two ladies in my life! What instrument do you wish you could play? Lap steel. The dudes that play that instrument look so cool doing it, ha ha. Plus the sound of an old lap steel just cant be beat. I think I’d like to play the Dobro as well! Another cool sound you can’t make a country album without!! Tell us about a time you got in trouble as a kid: To this day I have urges to repeat this offense just cause the fishing was so dang good, ha ha! (not kidding). I had my fishing pole and tackle with me when I spent the night at a friend’s house in town because we were supposed to go fishing with his dad the next day. Well, there was a private golf course near his house with a lake in the middle. Driving home from dinner with them the previous night I had looked over during the evening and saw the water boiling (fish hittin’ the top of the water) and though I’d like to fish that. The next morning I woke up early and walked the few blocks between his house and that course. It was completely fenced and posted with no trespassing. Either way, I waited for some golfers to pass, threw my pole and tackle over, hopped it, and dead sprinted toward the reeds. Jumped in hip deep waded to a spot I thought I would be seen and started tossing buzz baits and slayin’ the bass! Every cast! Regardless, I got reported by some golfers and a couple of those golf cart cowboys were all over me. I tried to slump down in the water behind the reeds but they saw me and kept yelling at me to get out and go over to them. It was a game for a while cause I was looking for a way to slip out of the water and get back over that fence. I tried to make my move and I split right between their two carts, hit the fence but couldn’t get over because my shoes were all wet, slipped off, split my cheek open on the top cross bar of the fence, fell back into the golf course and shortly after stitches, received my trespassing ticket which I paid for building fences for what was left of the summer. But like I said, I still get the urge to do it again…I’m much faster now!! ha ha! Where was the coolest venue you’ve ever played? The Greeley Stampede on the Big Country 97.9 stage is probably the coolest to date. However, I can’t lie when I say I LOVE the small venues! There is a little place in Pierce, Colorado called the Full Moon Saloon! There’s no stage and we play on the floor in a big corner of the saloon right by the kitchen entrance! The waitress literally walks between Bob (our lead guitarist) and Autumn (our female vocalist) to get to the patrons from the kitchen! It’s cool though because the intimacy of the venue is what it’s all about! I love being RIGHT in the fan’s faces and being able to interact with them like that! Plus its way easier for me to keep my beer full!! You can’t beat small town hospitality and feel. The appreciation you get from those towns is UN-real! Do any of your songs have surprising back stories?If so, what are you willing to divulge? I guess “Drive Me Crazy” isn’t surprising but it does have a slight story. It’s an obvious name for a song of course but I landed on it in the truck with my wife one night after a night out together. Yes, this song is about my wife and I wrote it for her because of the fact that the chorus IS our relationship from start to present! But, it has a subliminal sort of meaning. I told her she just drives me crazy and it got her kinda heated at me till I told her she drives me crazy in a good way too. I told her I just need to toss her the keys and let her “drive” me as crazy as she wants. Right there I had the songwriters light bulb pop up and started writing, ha ha. The song is basically about women driving men crazy cause well, they do. But the song focuses on LETTING and WANTING her to drive me crazy by explaining my walls are coming down, it’s not just me anymore, she saves me, take the wheel, here’s the keys, go ahead and drive me crazy 🙂 We cant wait to release this song! In your opinion, who has the most beautiful singing voice you’ve ever heard? Ya know, if he ever hears this I need him to know this is NOT a man crush dude!! But Chris Young, you probably have the best voice I have ever heard in this industry and probably top 10 throughout music, in my opinion! Most awkward/embarrassing moment: On stage I played half of our first set with the pants FULLY unzipped. I thought the eye contact was focused a bit lower than usual then figured it out in the middle of the next song. Figured I’d announce it and make light of it before people had a chance to throw me under the bus!! Worked out for a good laugh during the show! What singers/musical artists are you usually compared to? Blake Shelton (personality and presence). People compare my vocal abilities to Lee Brice a lot. Which is an absolute honor to me! When Sean sent us this picture of him as a kid he said, “you have not seen a spiked mullet like this!” Pretty cute, if you ask us! Happy New Music Monday y’all! 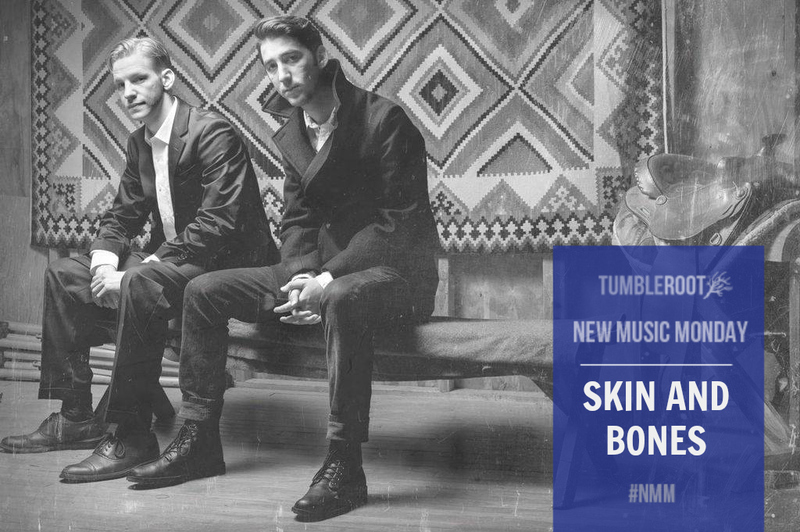 New Music Monday is a blog series TumbleRoot does that features new musicians every Monday. We love discovering these awesome musicians and having a chance to talk to them! What artists have inspired you? I grew up listening to George Strait, Martina McBride and Garth Brooks. They are easily my biggest inspirations. How long have you been performing? I have been performing since I could walk! I used to take part in a lot of Community Theater shows and school choirs, but once I fell in love with country music, I knew that’s where I belong! Any albums/singles out? I am finishing up my EP and will have it available on my website soon! What song of yours is a MUST LISTEN? See You Home. It is SUCH a fun song with a great story. It tend’s to be everyone’s favorite. Are you currently touring, or where can we see you in concert? I am not touring. I will be playing several places this spring and summer. I am booked for a couple dates at the San Diego County Fair and will release more dates once they have been confirmed. What do you do for fun? Besides writing music, I LOVE to be active! I hike, run, walk. It doesn’t matter, as long as I’m outside. Favorite cereal as a child and why? Ahh! That is difficult…but I think I have to go with Fruity AND Cocoa Pebbles. Seriously, I was obsessed. What instrument do you wish you could play? I wish I could play the violin! It is such an emotional instrument. In your opinion, who has the most beautiful singing voice you’ve ever heard? Carrie Underwood. Her voice is like honey, you cannot help but be totally consumed by her when she sings. 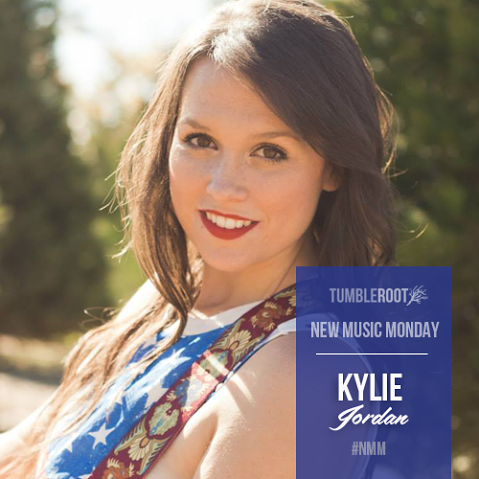 Follow Kylie on Facebook, Instagram, Twitter, YouTube, and ReverbNation.